In this third of the Doyle, P.I. 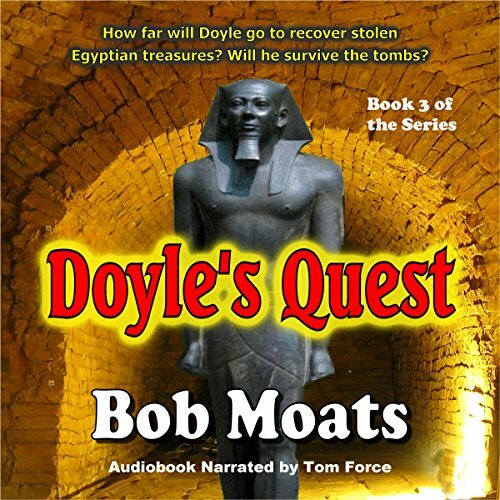 books, Doyle is hired by the curator of a Detroit Art Gallery. It seems nine valuable Egyptian statues were stolen from the gallery. They were replaced with fakes, and the gallery doesn't want the Egyptians to know their artifacts are missing. So Doyle and his partner Oscar Drew go on a hunt for the missing objects. Were they taken by a group of terrorist bent on using the money from the sale of the statues to buy a bomb? Who are they going to use the bomb on? Will Doyle and his partner die in the underground of an abandoned train station? Meanwhile, Doyle's love life is slow until he ends up juggling two women, one helpless and the other dangerous.